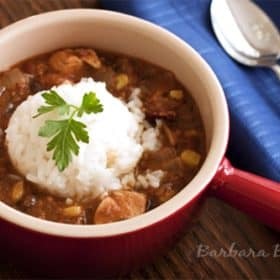 Thus gumbo has delicious and comfort written all over it. 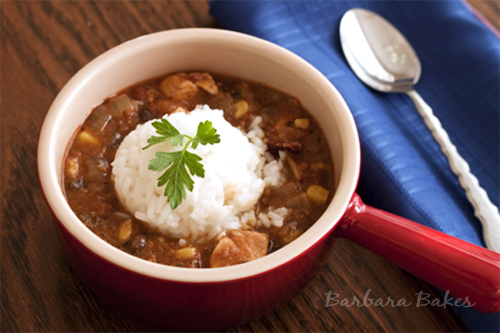 Rice onto the Gumbo…sounds so mouthwatering. I wish I can this for lunch later on. Hope you’re having a great day, Barbara. This looks like such a comforting meal Barbara. I have been wanting to make gumbo for some time now. 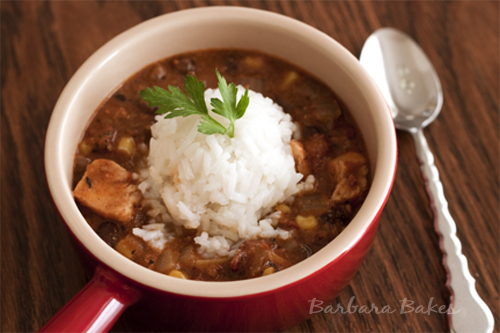 Especially since I live in the South and there are so many wonderful variations of gumbo. This looks like a great recipe. Your gumbo looks great. I love the little pan you’re serving it in. Nice!